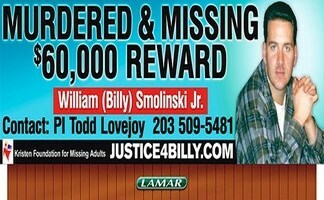 There are many strange mysteries surrounding the missing person case involving Billy Smolinski. On the 24th day of August in the year of 2004, William Smolinski, Jr. better known as “Billy” came up missing from Waterbury, Connecticut. Measuring six feet in height, weighing two hundred pounds, with light brown hair and blue eyes, Billy Smolinski was just thirty one years old. Despite the fact that many different pieces of information have been put together in this particular case, it has yet to be solved by law enforcement officials. While it has been quite some time since Billy Smolinski disappeared, the family is still actively seeking closure on this case. Due to a recent request by an individual still searching for answers, we will outline the information available throughout this page. If you have any information pertaining to the strange mysteries surrounding the Billy Smolinski case, please direct them to Billy’s Guiding Light of Hope at info@justice4billy.com or contact The New Haven FBI at 203-777-6311 with the number NCIC # M606786078. Described as a man who was fun, loving, as well as hard-working, the disappearance of Billy Smolinski is considered to be a complete mystery to his relatives, friends, coworkers, as well as law enforcement personnel that have worked on the case and continue to solve the case. During the investigation of the case, the possibility that Billy left on his own has been addressed. However, he came from a family that was extremely close and did not have the type of personality to take such a course of action. In addition to this, many clues have been unveiled that indicate that William Smolinski, Jr. did not intentionally isolate himself from his loved ones, his work, and the community that he grew up in. In fact, the clues lead to just the opposite – that he was forcibly isolated in one degree or another from the life that he loved. Today, the family urges anyone with any information pertaining to this case to step forward – even if it is in an anonymous manner. As with any family that has lost a loved one, they simply seek closure whether it is positive, negative, or even indifferent. On the 21st day of August in the year of 2004 – just three days prior to when Billy became a missing person – he and his girlfriend, Madeleine Gleason visited Florida to visit Gleason’s thirteen year old son that lived with his older brother in the West Palm Beach region. The relationship between Madeleine and Billy developed approximately one year prior to their Florida retreat. They met while working as school bus drivers. Despite the fact that Madeleine Gleason was fifteen years Billy’s senior, he was very taken by her and seemed to have a great deal of feelings for her. His family was a bit taken back by the fact that he would develop feelings for someone that was so much older and had been married three times. In addition to this, she also had many children. However, they wanted Billy to experience happiness, and supported his relationship with her. According to Billy Smolinski’s sister, Paula Bell, “He really liked her and he…you know, he used to treat her good”. At the time that the couple went to Florida, many say that there was quite a bit of tension developing in the relationship that they shared. It is believed that this fact led to many of the strange mysteries of the case surrounding Billy Smolinski. One of the biggest reasons for the complications associated with the tension at that time was the fact that Billy believed – based on Madeleine’s actions – that she was engaging in more than a professional relationship with a local politician named Chris Sorenson. There were many distinctive and unusual behaviors being engaged in by Madeleine. For example, Billy discovered her talking on the phone in the bathroom once and noticed that she was being quite secretive. According to police records that were later composed, it was confirmed that she was, in fact, seeing the politician and that the suspicions that Billy Smolinski had were accurate. On the 23rd day of August in 2004, just one day before he disappeared, Billy Smolinski went to work as scheduled. He was responsible for driving a tow truck for a company called “Durable Towing”. Billy worked diligently all day while at work. Towards the end of the day, he spoke with his supervisor and owner of the company, Leo Bianchi. He expressed his emotions concerning the break up. Later that evening, Billy was on the road preparing a car to be towed when a previous girlfriend that was still a close friend to him stopped to talk to him for a bit. Her name was Mary Ellen Noble. Upon talking to her, he requests that they spend the weekend at Six Flags. Despite the fact that the conditions of the request made her feel a little weird, she agreed to the outing. However, she did not realize that it was the final time that she would ever see or speak to her very close friend again. Many speculate that this encounter and setting up the weekend retreat was one of Billy’s first steps in recovering from the loss of his relationship. It is said that Billy Smolinski went home from work that night and had a very difficult time. The situation involving him and Madeleine had apparently set in and reality took over. At approximately 4:00am to 5:00am, it has been established that Billy Smolinski visited his ex’s home. Oddly, when he visited her, he took a ladder and climbed up to her window in order to talk to her. This is another one of the strange mysteries surrounding the missing person case. Many do not understand why he would do such a thing while others agree that Billy often did certain things in an unusual way as he liked to be “different”. According to his longtime friend, Mary Ellen Noble, doing things different was “Just Billy’s way”. While visiting Madeleine Gleason, Billy Smolinski attempted to reconcile their differences and rekindle the relationship that was now damaged. Gleason informed police that she told Billy that she would just need a little time to consider his offer. Just a few short hours later, Billy went back to his home. According to records obtained from his telephone service provider, he made phone calls to the man that Gleason was having an affair with. According to records, three calls were made that day to the man that Madeleine was seeing. He left a message informing him that he should watch his back. Billy’s father, Bill Smolinski, said “I think he made that call because he was mad. He was really mad.” While it is known that he was a sensitive person that truly cared about others, many claim that he was not at all afraid of confrontation and was not the type of person that would just back down or walk away from it. It was obvious that he was extremely upset over the break up and he was reaching out to the individual that caused the break up because of the fact that he was quite disturbed over the chain of events that had been occurring in his life. Later that afternoon, Billy visited a neighbor requesting that he watch his beloved dog, Harley, while he went north to check on a car that he was interested in. The neighbor, whose name is Roy, agreed to assist Billy by caring for his pet. Ironically, Billy never informed his family of any plans pertaining to the trip that he said he was going on, nor did he explain to them that he was interested in purchasing another vehicle. The next morning, Roy contacted Mary Ellen Noble to inform her that he could not locate the key that Billy was going to leave for him so he could care for the pet. However, this news was a surprise to Noble. It was at this point that suspicion arose that something was not right. She then called Billy’s sister, Paula Bell. Naturally, Paula contacted the rest of the family to find out whether or not they knew where Billy was. When the family arrived at Billy’s home to investigate, they noticed his truck parked at the very end of the driveway to his home. This was considered to be extremely unusual because of the fact that he always drove as close as possible to his home when he returned. This is another one of the strange mysteries of the Billy Smolinski missing person case. It was at this time that the family reported the chain of events and the unusual circumstances to the Waterbury Police Department. Billy’s mother, Jan Smolinski, states “I knew immediately something was wrong.” At that time, the police department would not treat it as a missing persons case because of the fact that a neighbor was told that he was going to the north. They said that they would have to wait out the three day period before completing an official report. In the process of waiting on the three day period, the family tried to find clues that would provide them with any insight on where he was. They did manage to find a receipt from Burger King marked for 2:59pm on the 24th day of August. The family tried to see if the restaurant had a video recording of when he went to purchase his food. Unfortunately, the recording of the day that he visited the store was already destroyed because the recordings only last one day. No one could provide information on the case. Immediately, search teams were organized and many people were contacted to see if they had any information on him. 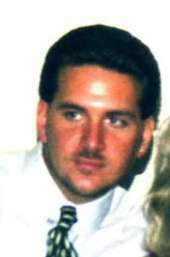 Despite all of the searches, inquiries into Billy’s financial records, and other types of investigative measures, no clues were discovered regarding the location of the missing Billy Smolinski. These are all additional strange mysteries surrounding the case. Eventually, a law enforcement official searched the truck that belonged to Billy. Upon looking under the driver side’s seat, the officer discovered a wallet that belonged to Billy as well as his keys. The law enforcement officers immediately enlisted the assistance of canines that are specially trained to find individuals that are dead. However, despite the fact that the animals searched between five and ten miles within Billy’s home, no evidence ever turned up that Billy was dead in the region. Searching for Billy became a regular activity for the family and friends of William Smolinski, Jr. Unfortunately, no one discovered any clues. The information coming in was limited, and the parents continued to mourn the fact that Billy was no longer around. Eventually, the family created a flyer listing important information about Billy and a picture. On this flyer, they offered a reward. However, over time, they started to find that the flyers that they were placing in various regions of their area were being torn down or destroyed in one way or another. They even found the words “Who Cares” wrote across several of them. They started to believe that the person doing this could have information pertaining to Billy’s disappearance, so they hid one night and used a video recorder to capture the image of the individual doing the destruction. To their amazement, the woman caught in the recording looked like the girlfriend that Billy was mourning over – Madeleine Gleason. Naturally, she denied the fact that it was her. However, after time, she admitted that she felt the family was hanging the flyers in order to taunt her psychologically. The police did interview Gleason and cleared her as a suspect in the case. In the month of August in 2006, the Waterbury Police Department reached the conclusion that Billy Smolinski was likely the victim of some type of foul play. The family decided to hire a private investigator to assist them in discovering clues about their son. The PI was able to obtain all of the reports associated with the case, and this is when the Smolinski family discovered something that had never been told to them. Apparently, the report indicated that an individual called the hotline hosted by Crime Stoppers and informed them that Billy had been murdered. It said that Madeleine’s son, Shawn Kirpuik, had strangled Billy. However, this piece of information had never been told to the family. This is the next of the strange mysteries associated with this missing person case.